Home » Games » Things We Know About Resident Evil 2 Remake So Far! Capcom is coming back hard in 2018-2019 with many major titles like Mega Man 11, Devil May Cry 5, and especially Resident Evil 2 Remake. The original Resident Evil 2 was considered by many as the best Resident Evil game to date. Naturally, many fans would love to see the game remade with the current gen’s graphic. Luckily, Capcom listened to their fans and decided to just the right thing with Resident Evil 2 Remake. And so with no further ado, let’s check out all things we know about Resident Evil 2 Remake so far! 1. What is Resident Evil 2? 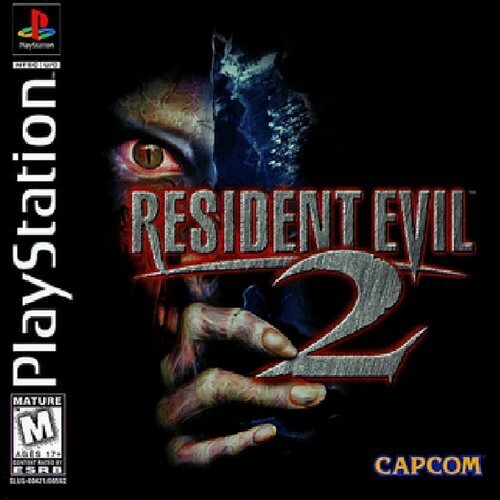 For newer gaming generations, Resident Evil 2 (RE2), or also known as Biohazard 2 in Japanese, may not look that appealing since this game was originally released in 1998 for PlayStation 1. But for the older gamers, Resident Evil 2 was an incredible horror experience, especially when the horror-game franchise was still a fresh genre. 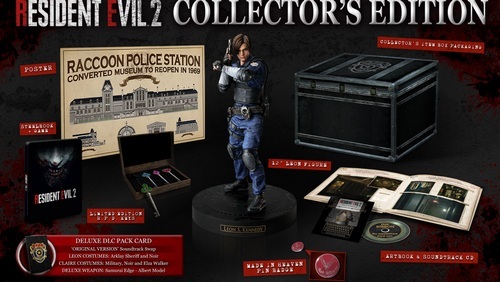 Resident Evil 2 was the first time players got introduced with Leon Kennedy – the badass agent in later games – when he was still a police rookie, and Claire Redfield – Chris Redfield’s younger sister. 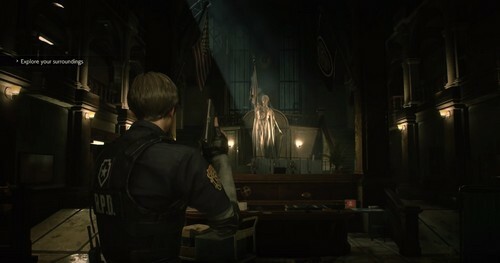 Players can choose either Leon or Claire’s campaign and experience the horror happened at the infamous Raccoon City. Not only players will have to survive against the zombies with low supplies, they also have to solve various puzzles throughout the game to progress. One interesting addition in the game is the Zapping System. Basically, this system connects and allows players switching between Leon and Claire campaigns. If you finish an “A scenario” from a character’s campaign, the “B scenario” from other character’s campaign will be unlocked. This makes the game feel more interesting as both Leon and Claire’s storyline offers different gameplay values. And so, 17 years later, Capcom made a surprising claim saying that Resident Evil 2 Remake was in development. As you can guess, this news totally rocked the community in a high note. Then in E3 2018, fans got to see more details about the game, including an extremely cool (and gruesome too!) Leon gameplay demo. Also in Gamescom 2018, fans got to see another gameplay demo for Claire, featuring her being chased by the unstoppable William Birkin. With all new stuffs Capcom showed so far, we can safely put our hope on this relived horror experience. And remember: the game will be released on January 25, 2019! Considering it has been 30 years since 1998 Resident Evil 2, we can easily see enormous difference between the original game’s graphic and the 2019 Resident Evil 2 Remake. The game used the same engine as Resident Evil 7 – RE Engine – which really does a good job in recreating the Raccoon City. 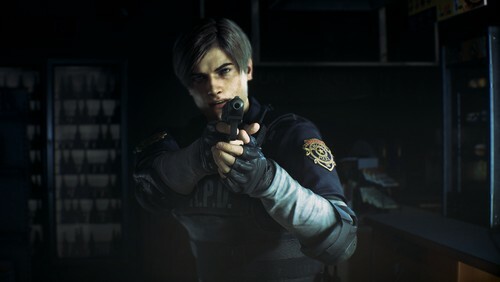 In Leon gameplay demo, we got to see a small section of Leon’s first day as a new police member of Raccoon City Police Department. Personally we are extremely impressed by Capcom’s effort in reimagining this place while still keeping a certain degree of nostalgia. Everything is recreated in extreme details from character’s design, the surrounding environments, to the zombies. For some people, such graphic quality and attention details may be a must-have standard in today’s gaming. But again, given the perspective from old gamers who’ve experienced the old Resident Evil 2, we cannot help but feeling excited for this new Resident Evil 2 Remake’s visual. This is a huge change compared to RE2. Back in the original RE2, the game was put in fixed camera angle which changed depending on different areas. 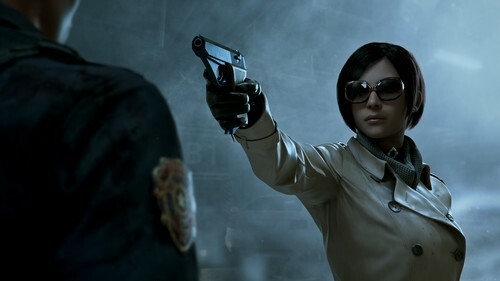 However, Resident Evil 2 Remake will implement the Third-Person Over-The-shoulder Perspective – the same camera angle used in Resident Evil 4. Another advantage of using third-person perspective is that it works wonderfully with the labyrinthian corridors throughout the game with extremely unsettling, claustrophobic feeling. Furthermore, it opens up more opportunities to recreate and expand the puzzle element. Now this is indeed an important question. Resident Evil 2 Remake as a horror-focused game are supposed to be scary, and more importantly, it is expected to relive the terror back in the original RE2. For now, the game seems to walk the right path. In Leon gameplay demo, we get to experience as a rookie Leon, not a badass agent Leon since Resident Evil 4. Therefore, lots of Leon’s cool moves (like the suplex) are removed since clearly he is just a newbie police. This makes players feel more cautious as they are controlling a vulnerable Leon who faces this zombie apocalypse for the first time in his life. Aside from Leon being a “noob”, the game also seems to provide fewer resources. This is definitely a good thing since it forces players to proceed wisely. Killing a zombie looks harder, even if we shoot it in the head; it still takes a few shots to kill it. In many cases, it feels better to cripple the zombies by hitting their leg so that we can run away, rather than trying to kill them completely especially when the zombies horde is approaching. It also applies to healing items as the zombies can hit Leon hard. Herbs, while being decently provided, can run out quickly if we are not careful when engaging zombies. 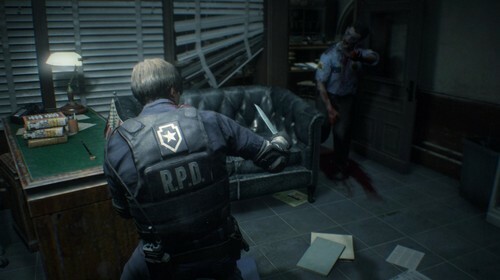 Combining with the gross-looking zombies and claustrophobic environments, Resident Evil 2 Remake demo does create a scary experience of a vulnerable policeman who is trying to survive. The main focus here is not about putting horrifying jump-scare but rather, putting players in a dangerous state where the threat feels real and it is real. 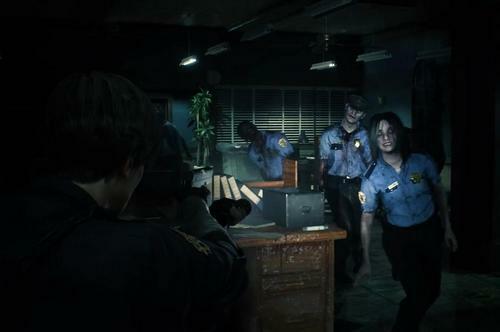 If Capcom can ensure this experience throughout the game like this Raccoon City Police Department demo, we believe Resident Evil 2 Remake will turn out to be a great horror game we always want. How will Leon and Claire’s story connect? As mentioned, one of the cool features in original Resident Evil 2 is the Zapping System. However, it seems this upcoming Resident Evil 2 Remake will not feature this mechanic. 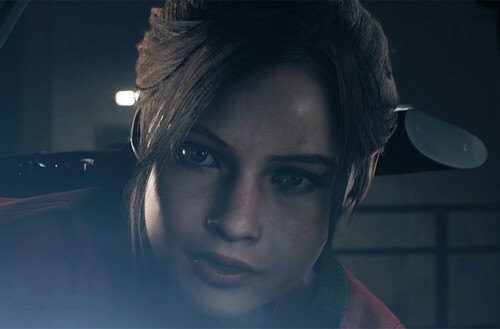 According to Capcom, each character’s campaign will be separated from each other; therefore, we still don’t know whether Leon and Claire’s storyline will connect or not. Even so, we cannot rule out the possibility that Capcom does not want to reveal it yet. 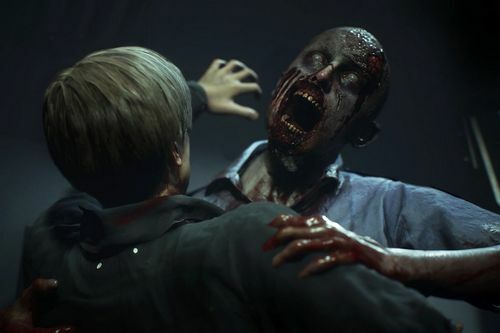 According to Comicbook’s interview with Capcom’s Mike Lunn, Resident Evil 2 Remake will be optimized for 4K visual on PS4 and Xbox One; however, the framerate will be at 30fps. Of course, players can choose to play with lower graphic and enjoy the usual 60fps. For the record, Capcom is aiming for a stable framerate, no matter which graphic options players choose. Will it have VR support? Given the hype of Resident Evil 2 Remake, many players would hope to enjoy this game with VR just like in Resident Evil 7. 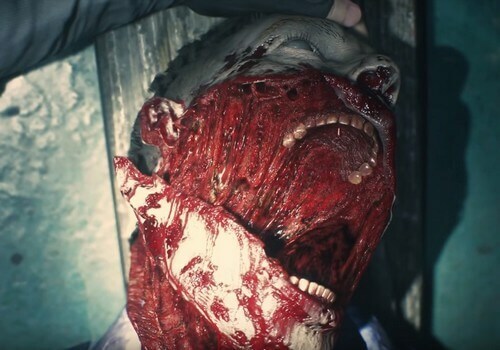 Unfortunately, Capcom said that VR support is impossible for RE2 Remake due to its third-person over-the-shoulder perspective. 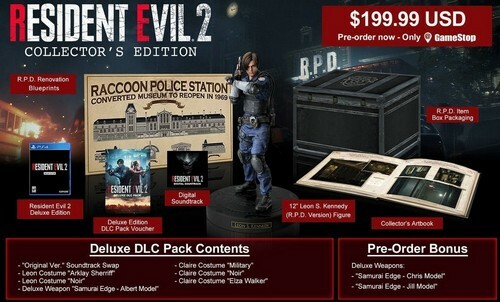 Like many games came before, 2019 Resident Evil 2 Remake also features a number of editions and bonuses. For those who pre-order the game, they will receive the Deluxe Weapons: Samurai Edge – Chris Model and Jill Model. 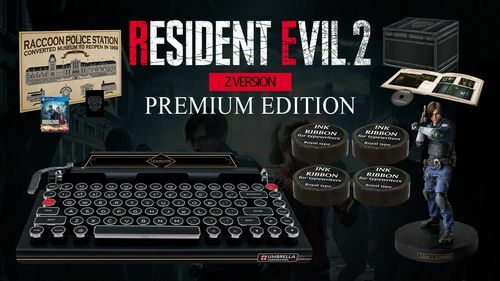 And finally for those who’re living in Japan, you have opportunity to grab the Resident Evil 2 Premium Edition at the price of $900, featuring a $675 keyboard modeled after the typewriters in the game. It is compatible with your PC, Mac, or tablet, and can be connected via Bluetooth and USB. And that’s it folks! What do you think about Resident Evil 2 Remake? Feel free to share with us and for now thank you and stay tune for more news in the future! Pingback: More New Things We Know About Resident Evil 2 Remake!